Welcome to Chad’s Barber Shop! “Chads barber shop is all ways the best place for a professional hair cut. I’ve been coming here for years. I would recommend this place to any body who needs an awesome fade or what ever haircut one desires. Go ahead and try to find a place that can cut as good as this place. You won’t ! 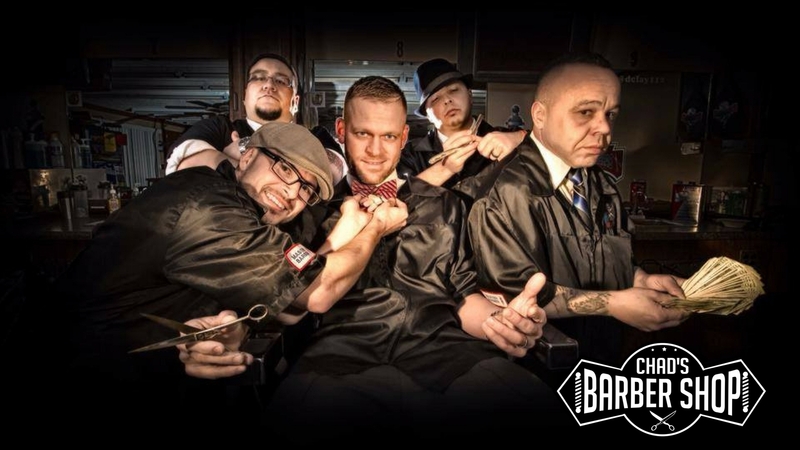 They take the extra time to do it right.” – Anthony R.
“Best barber shop I’ve ever been to. I am extremely picky about who cuts my hair due to me being somewhat tender headed. Not only did he take his time cutting my hair to my specifications, but he also offered to trim my beard. Very friendly atmosphere and great price for the quality. I will make this my new place to go get a haircut.” -Tyrell S.
To view our service list, click here.